A study quantifies for the first time how IXPs enable Kenya and Nigeria to save millions in telecommunications costs and raise additional revenues in these countries while simultaneously speeding local data exchange, and encouraging the development of locally hosted content and services. 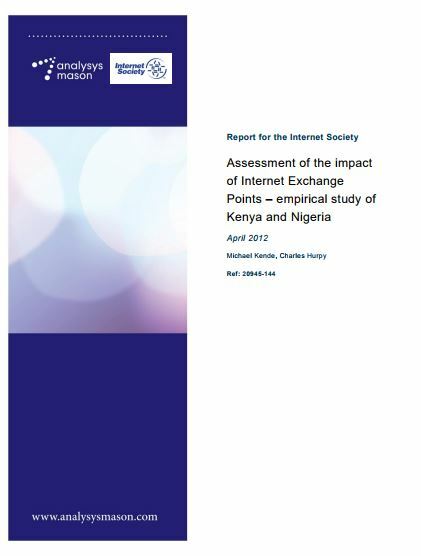 The study, commissioned by the Internet Society and conducted by independent strategy and research consultancy, Analysys Mason, examined the critical cost and performance benefits of IXPs in Kenya and Nigeria – two sub-Saharan countries that have been on the leading edge of Internet growth in Africa. As the Internet increasingly globalizes, the interconnection between networks, content providers and users is more and more critical to creating the ‘network of networks’ that is the Internet. At the center of this globalization are Internet exchange points (IXPs), facilities where all Internet players can interconnect directly to each other, thereby improving quality of service and reducing transmission costs. IXPs have already played a key role in the development of an advanced Internet ecosystem across North America, Europe and Asia. This paper details the impact that such IXPs have had in two emerging markets in sub-Saharan Africa: Kenya and Nigeria. The benefits for Internet Service Providers (ISPs) alone includes savings on international capacity costs, along with an improved quality of service resulting in additional revenues, with a total value worth millions of dollars per year. IXPs typically follow a gradual evolution path, building on the growing number and diversity of their members over time. Early in the Internet development cycle in most countries, Internet Service Providers often find it cost-effective to use their international Internet connections to exchange domestic traffic, a process often known as ‘tromboning.’ Tromboning is the result of unilateral action, with each ISP independently concluding that it is more cost-effective to use its international connections for domestic traffic exchange than to connect to every other ISP separately. However, the use of international capacity for domestic traffic is expensive, and this tromboning can be eliminated, with corresponding cost savings, if ISPs adopt a co-operative approach to create a local IXP where domestic traffic can be exchanged. The establishment of an IXP in the country enables local ISPs to connect directly together and exchange domestic traffic, typically with settlement-free peering, thereby reducing or eliminating tromboning and saving cost on international transit while reducing latency (by avoiding local traffic to be carried internationally). To the extent that the IXP begins to build critical mass, involving most or all of the ISPs, it will also begin to attract content providers, along with business, academic, and government users, and thereby become the center of a vibrant Internet ecosystem in the country. Further, the IXP can also begin to attract international content and connectivity providers, becoming a regional hub for Internet traffic. 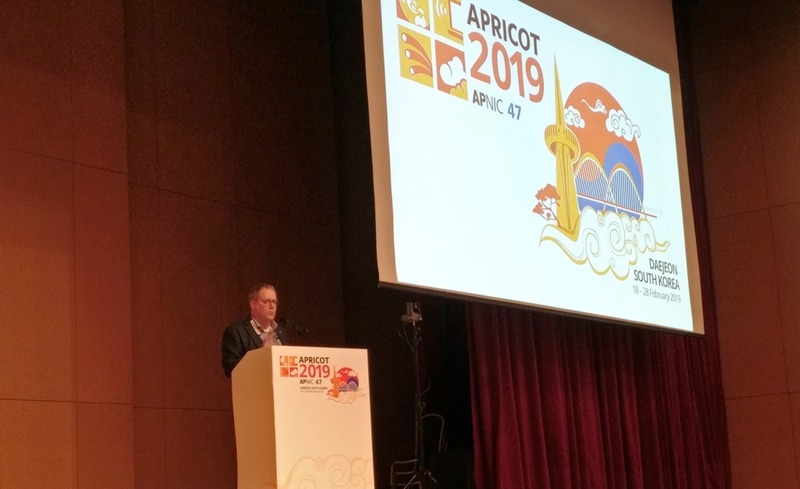 The benefits of localizing Internet interconnection are increasing, due to consumers’ growing demand for services with increasing bandwidth (such as video) and lower tolerance for latency (such as Voice over IP). In developed countries, IXPs have played a key role in advancing the Internet ecosystem over the past 15 years. Today, IXPs are also progressively growing in Africa, despite a more challenging economic and telecommunications environment. In Kenya, the Kenya Internet Exchange Point (KIXP) currently localizes more than 1Gbit/s of peak traffic, dramatically reducing latency (from 200-600ms to 2-10ms on average), while allowing ISPs to save almost $1.5 million per year on international connectivity. The IXP also increases mobile data revenues by an estimated $6 million for operators having generated at least an additional traffic of 100Mbit/s per year1; helps the localization of content in the country including from Google; is critical to raising government tax revenues, and increasingly acts as a regional hub for traffic from neighboring countries. In Nigeria, the Internet Exchange Point of Nigeria (IXPN) currently localizes 300Mbit/s of peak traffic with corresponding reductions in latency, and allows national operators to save over $1 million per year on international connectivity. The presence of the IXP induced Google to place a cache in Nigeria as the first step in plans to build out Google infrastructure to Lagos, and is at the center of a partnership to improve communications between universities. The IXP also helped repatriate previously externalized financial platforms for online banking services. These effects are summarized in Figure 1.1 below. Overall, the IXPs have had the direct effect of lowering the operating costs for local ISPs, while increasing the traffic, and where relevant corresponding revenues, of ISPs, with further benefits for those sectors that have incorporated the IXP in their delivery of services, notably the revenue authority in Kenya, and educational and banking sectors in Nigeria. Finally, it can be expected that over time, together with the decrease of international bandwidth costs, the IXPs will help reduce Internet access tariffs and result in increased Internet penetration and usage. Within their respective regions, Kenya and Nigeria are in a strong position with respect to Internet access and usage. This is a reflection of a number of interdependent variables; a positive macro-economic environment; a liberalized telecom environment led by a widely respected regulator; a significant and increasing amount of international capacity; and a strong and competitive mobile sector. However, into this mix must be included the IXPs, whose success feeds off these other variables, but also helps to fuel them. In particular, an IXP helps to deliver the benefits of liberalization – lower prices and greater usage – which in turn can provide support and credibility for further efforts to liberalize and develop the sector. 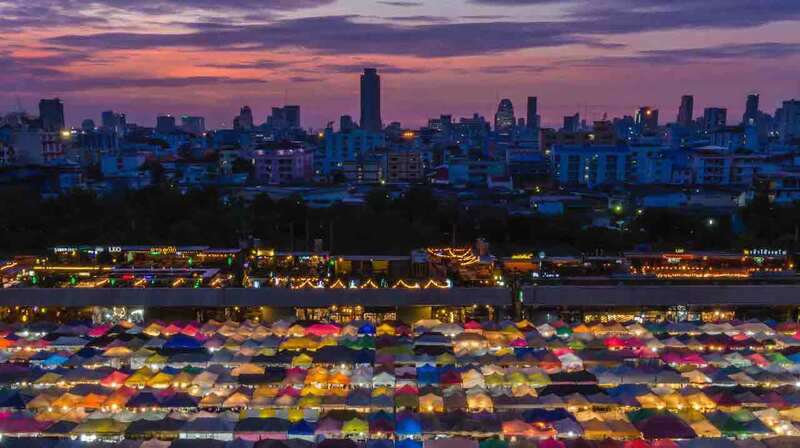 IXPs can also help to improve connectivity between neighboring countries, further increasing Internet usage and benefits. Examples of more advanced IXPs should encourage stakeholders in Africa to increase their usage of IXPs, in order to lower their costs and improve the quality of their services. Furthermore, policy makers should help to promote the establishment and development of IXPs by adopting sector reforms when necessary and offering targeted support when possible, as advanced IXPs ultimately benefit the entire ecosystem. Note: this study was commissioned by the Internet Society (ISOC), a non-profit organization that provides leadership in Internet-related standards, education and policy, and a key independent source on these issues. In the English version of the study, figures A.1 (p. A-1) and A.2 (p A-2) contain demographic information for Kenya and Nigeria respectively. The income statistics are wrong – The report mentions “thousands of dollars/year” when it should be “dollars/year”. A corrected version of the study will soon be added to our site.